Mums are next on the list. We do not cut the Sheffield Pink variety, known here as the Sheffies. They are sprawlers anyway, but the tall button yellow unidentified mum and those growing on the daylily hill will be shorn. Those growing with the daylilies need to be kept shorter anyway to allow for the shorter Hemerocallis plants to be better seen at their peak. White Daisy, Soft Yellow, Ryan’s Pink and Pink Grandchild will get this treatment. Last year the Japanese Anemones were cut all the way to the ground in a fit of control freakism since they were blocking the pathway. That resulted in no blooms. This year they may not be cut at all. To cut or not to cut is still a work in progress on this one. 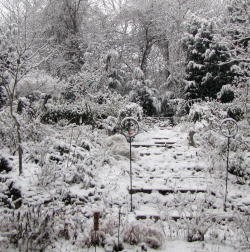 Perhaps the best compromise is to cut them quite short where they are growing along the path edges and between the step stones. 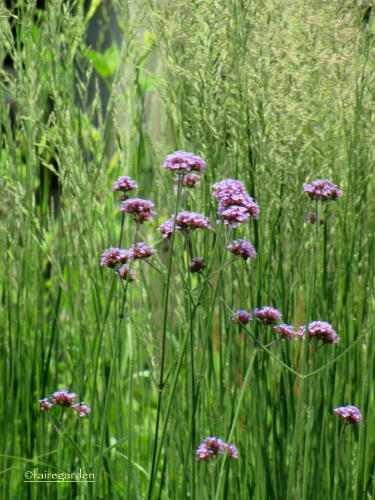 Other plants that might get a trim are the tall Sedums, Gaura and Verbena bonariensis, shown above. I have not found deadheading to be of much value in prolonging bloom of Echinaceas or Monarda here, so will leave those to form seedheads for the birds and winter interest. You may have different plants that need a haircut at a different time than those mentioned here. Results will vary according to climate, so you can make adjustments as needed as to the timing. 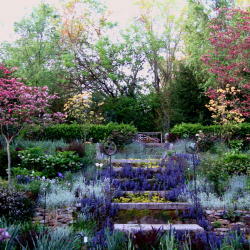 But cutting the talls whenever is right for you will be a garden chore that will have big payoffs in the months to come. Knowing which ones to cut is the key, as is when to cut. Good luck out there! Snip, snip. This entry was posted in How To, Seasonal Chores. Bookmark the permalink. Thanks for visiting, Gail. In the past, I have forgotten to cut the ironweed, but it too late and the flowers don’t have a chance to meet their full potential. Writing the post helped me remember to do it. 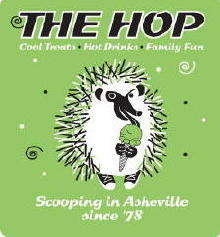 Bonnie Verb, I love that name! Hi Lisa. It is probably wise not to cut any of these things all the way to the ground, even those that are so aggressive like the anemones. I started out digging them up, but they got out of hand. I am going to cut the path to the ground and see if that works. There are columbines mixed in and some other things. All getting cut. Today!!! Snap. I was just reading about cutting perennials as it will be time soon to give them the ‘Chelsea’ chop, cutting back around the time of the Chelsea flower show. I think Chelsea chop sounds a bit pretentious but all the same, we know what it means. Apparently if you grow plants in groups of three, five and so on, cut the front one or two etc. which will bring them into bloom 4 to 6 weeks later extending the flowering season and the grouping will look balanced. Anyway, that’s my two penny worth or two cents worth if you like. Those white/pink mums look wonderful by the way, oh, and dead heading echinacea doesn’t seem to do much to increase blooming for me either. Oh Rob, you are so funny! The Chelsea Chop certainly would make it easy to remember when to do this. For us, Valentine’s day is the time to prune the roses, so it is easy to remember. Some of these can be treated with the various cutting heights, but not the 12 ft Vernonia. It simply cannot stand up to wind or rain with those giant flower heads and is usually a single stem. These are self sown, so the spacing is more random. The phlox is best for the method you mention. I will give it a try! I am hoping this year the mums won’t fall over on the daylilies. We’ll see. I’ve read of a variation of the Chelsea Chop Rob mentioned, and that’s to cut back the outer shoots of a clump and leave the center to grow tall. Every time I’ve tried it though, I’ve been too timid in the number of outer branches trimmed and then the middle flopped over anyway. I follow Tracy deSabato-Aust’s advice and stagger the height of the cutting, leaving the back tallest, the middle next tallest, and the sides and front shortest. I also cut some more than once, such as those super-tall ex-asters. Sometimes, the deer even do the cutting for me. 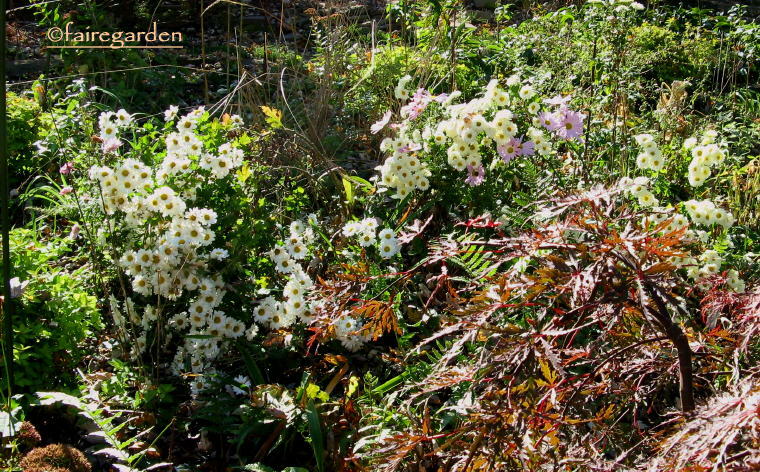 Uh oh, I have given the Japanese Anemone to lots of people! And they are folks I like! Sorry guys. As for your method, my garden is too large for such micro-management. I am looking for ease of maintenance here, and the bending position kills my back. I use hedge trimmers, the same as for the hellebore leaf cutting. Chop chop! Hi Dee, you are exactly right, one learns what works best for the plants in their own garden. It is not a one size fits all. I think it best to wait and watch the new plantings, like I am doing with Iron Butterfly. This is such a good reminder Frances. I’m growing Phlox paniculata for the first time this year and hadn’t realized I should trim them. Usually I let a plant go for a year before I figure out what’s best for it. I recently added some more phlox, which were pretty short, probably because they’d been in little pots too long. Maybe I’ll leave those. 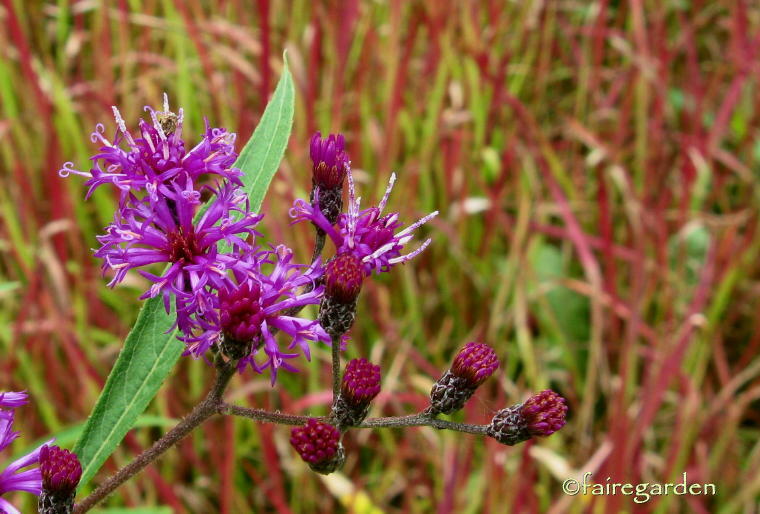 Wish I had a great place for Vernonia – I love yours! Thanks Jean. I would wait and watch your Phlox unless it seems to be getting very tall. I do not cut David, the white one for it is shorter. This is the species and will be 6 feet easily which happy. Look for the Iron Butterfly form of Vernonia, it is smaller. Good post on cutting and trimming. I’ve been trimming a little off the sides of my Russian Sage to create more of a mound shape later. I’ve been at my mums and sedums twice already, but may have to go another round with them before July 4th. 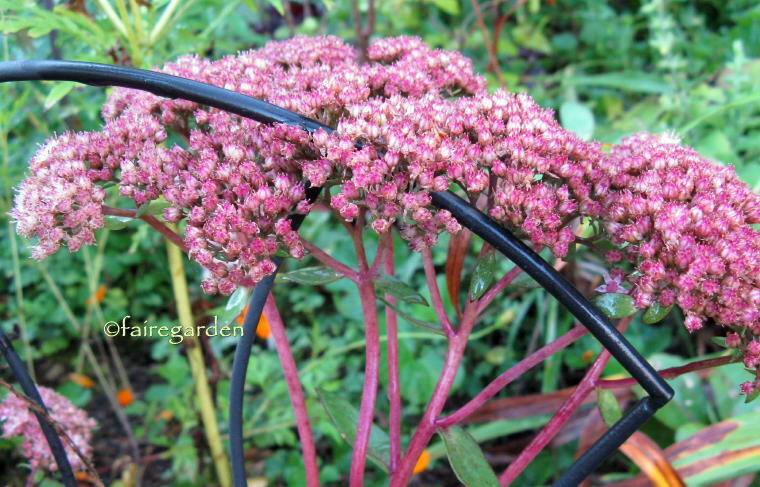 Newcomers to my garden– I just planted solidago ‘Fireworks’ and the foliage is so lovely and it IS the first year in my garden…should I trim? I just planted the taller form of Joe Pye as well and wondering the same thing. My shorter, ‘Little Joe’ is barely above ground right now. I’ve already put supports around my crocosmia, oriental lilies…and the coreopsis ‘Redshift’…because of all the rain! The coreopsis is getting too tall, too quickly this year. Thanks Cameron. Your treatment of the Perovskia sounds like it is making a neat statement. My goal here is the very least amount of work required of me to have things look decent. Not great, but acceptable. I have not grown Fireworks, you might just see if it is getting too tall too quickly, or just wait and watch this year. I don’t cut the Joe Pye, but it gets ten feet tall among the Rudbeckia lanciniata that is also ten feet or taller. They kind of hold each other up that way and are at the back of the bed. Good luck! The weather is crazy, it is very cold here, but the rain has been good. Hi Rose, thanks for visiting. 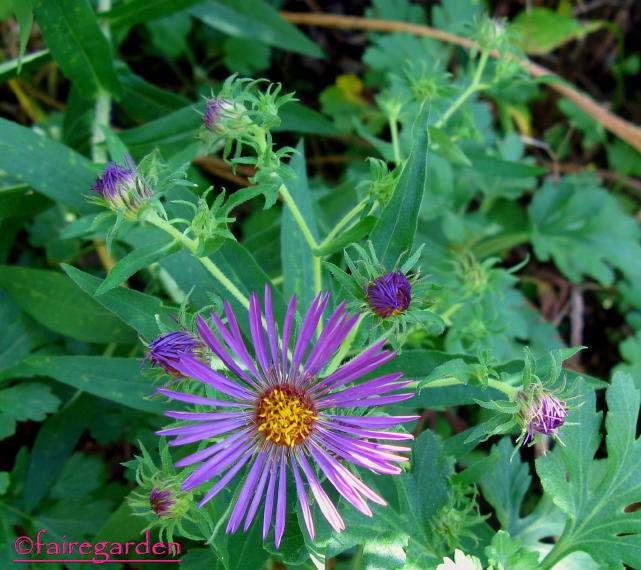 Asters, or anything tall that blooms later and flops should, or can be cut whenever is the right time for you. I pull asters and goldenrod, too. They will not be missed in the plethora of talls here. We must protect the precious PPPP! I usually cut back fall bloomers around Memorial Day. This year, with all the rain, they are ready to be cut back now. That is a good reminder, Carol. As with most garden jobs, it is best to do them when one has the Time. I have mums blooming now but they should be clipped until, I believe, July for Fall beauties. I will clip after blooming to see how it comes out. Great post, very helpful. We must keep our ladies prim & looking their best. I have a pink mum but I don’t think it’s the Sheffield Pink variety. I sure would like one, I can’t find it around here. Mine is vase shaped. Hi Lola, thanks for adding to the conversation here. When we lived in Texas, the mums would bloom twice or more if cut after the early blooming. What a bonus of blooms! Hi Debbie, thanks for adding to the conversation. 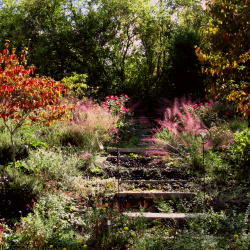 My advice is for my area, zone 7a Tennessee, and for those who wish to lessen the height of those tall perennials, such as asters. For us, a good whack in May will find them blooming in fall at a shorter height. After fall, they can be cut to the ground any time. I prune my roses on Valentine’s Day, easy to remember and before the new growth starts in earnest. So Frances…I was about to ask if you have any luck digging the J.Anemones to pot up and then I reread your answer to one of your followers stating you have given some away.That answers my question about digging them successfully but is there a time that’s best to do this? I do want to get them out of my paths and have friends who want them but….and I know this will be amusing to those of you for whom they are ‘thuggy’….I’ve not had great success at getting them to live once I get them out. Hi Beth, thanks for reading. Digging the Japanese anemones can be tricky, especially the white ones which took several tries to get going here. I believe that the smaller the plant, the easier it is to dig and transplant them. As for the best time, I have done so in spring, summer and fall, whenever the mood strikes and there is time available. Good luck and dig deeply! Water well until established, as is the case with most things.